Let’s face it… We’ve all experienced a hair-mergency? You know… when your do just won’t do what you want it to do. And, there’s simply no time to make a salon run clear across town, let alone deal with Atlanta’s notorious traffic along the way. So what do you do with your do? Well, before you fall into hair dispair or split your ends, fret not my follicly-frustrated friends, for there is a fabulous new app that will help you tame your mane whenever… and wherever. This stylish new beauty app is called Blownaway, and it leaves you feeling exactly that! Choose a Service. Pick a Style. Schedule an appointment. Get Blownaway! No more booking appointments at busy salons. And forget about carving out time to commute thru traffic. If you’re like me, your on-the-go lifestyle could use a lot more convenience. Not only is Blownaway super accommodating, but its uber fab! Hey, a glam team with at-your-door service? You will feel like a rockstar in no time. Blownaway is making on-the-go glam look sooo good! Blownaway has already taken both Dallas and Houston by storm, and now you can be the first to try this absolutely uh-mazing concept when it launches in the Atlanta metro area on March 18. I had a chance to demo this innovative service and I was completely blownaway, and I want you to be too! 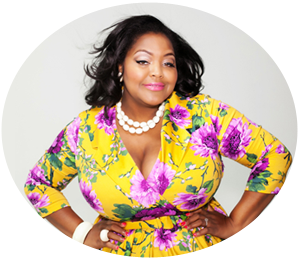 So in the spirit of all things chic, I’m partnering with Blownaway to offer my ATL readers a special discount code to use for their first blowout. Simply use code OhNikka when you book your appointment and receive a $49 blowout…a savings of $16 OFF for new Atlanta users! How chic is that!?! Download Blownaway for iPhone or Android and get your own personal glam squad at your fingertips!